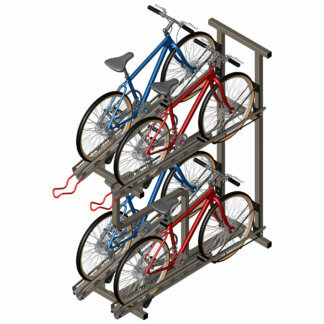 This vertical bike storage system is space efficient; parking the bike against the wall which opens up floor space and allows easy accessibility. 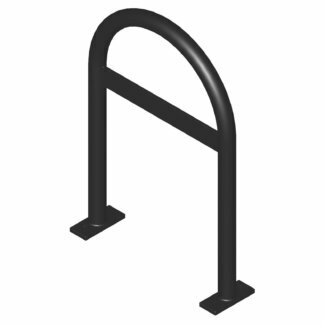 Fender Rack™ provides a secure, economical solution to store commuter bikes with wide fenders or “mud guards.” Suitable for indoor or outdoor use, standard finish is zinc primer black polyester powder coat or custom colors upon request. 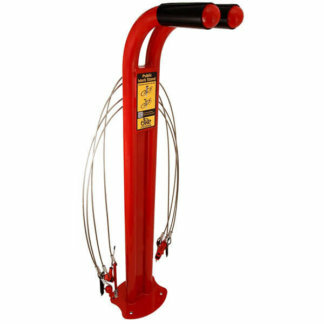 CycleSafe’s Fender Rack cradles the bike’s front wheel supporting the weight of the bike against the vertical surface, allowing the use of a cyclist’s lock to secure the frame and wheel of the bike. 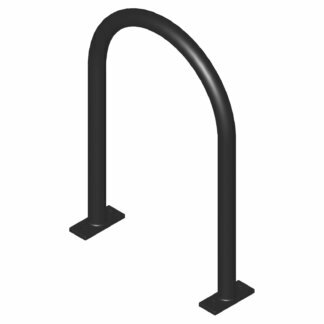 Common “J” hook style hangers create stress on the bike frame and do not provide security. Simply roll the bike up to the Fender Rack with the bike’s rear wheel and engage the bike on the hook to place the bike into the tire guard. This easily allows the use of a variety of locks and ability to attach cyclists’ gear.